China Central Television Tower is located at the west suburb of Beijing (11 Xi Sanhuan Zhonglu, Haidian District, Beijing). The construction of the tower was started in January 1987, completed in September 1994, and opened to the public on October 1st of 1994. 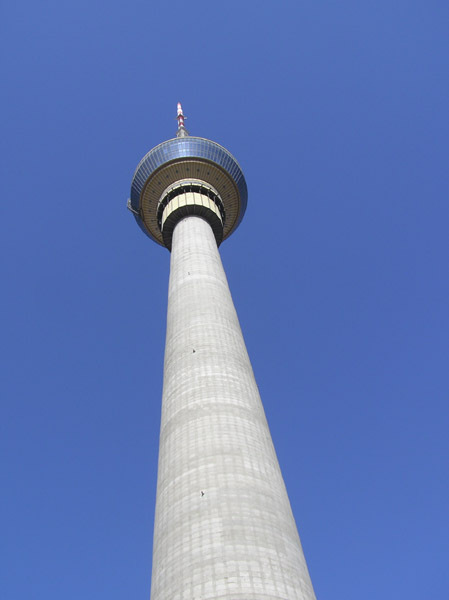 The TV tower is the tallest structure in Beijing (from ground to the tip of its antenna reaches 405 meters). It has a big function hall (at 242 meters), an observation deck (at 238 meters), a restaurant (at 221 meters) as well as some exhibition halls. These pictures were taken from the tower's observation deck at 238 meters on a clear spring day.